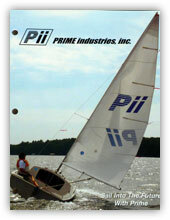 About Us - Prime industries, inc. In all we do . . . for all we serve. Back in 1973, when Prime Industries was established as a manufacturer and fabricator of epoxy resin countertops and accessories, several critical decisions were made. These decisions proved to be the fundamental reason for a growth curve which, by anyone's standards, is an outstanding success. By far the most important of these decisions was drawn from a proven business principle: An unswerving commitment to giving our clients the finest quality products at the most reasonable prices with a consistent and highly professional level of service. It is increasingly apparent that there is a growing demand for specialization in the marketplace for laboratory accessories and components. In response, we are proud to introduce our newly expanded accessory package which has been specifically designed as "a single PRIME source" for the agent, thus freeing up his or her time to concentrate on selling rather than shopping.